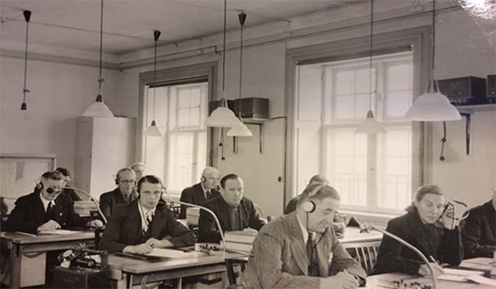 The conference is organized as a joint-venture between ENIGMA – Museum of Communication and The Centre for Public Regulation and Administration (CORA), The Department of Information Studies and The Danish Research Foundation Centre for Privacy Studies at the University of Copenhagen. Why a history of surveillance? Issues of surveillance and privacy are central topics in contemporary politics and media reporting, frequently linked to the effects of the so-called digital revolution. Current developments within digital Information and Communications Technologies (ICT) have supposedly enabled surveillance on a previously unprecedented scale, and the scope, intensity and consequences of these digital forms of surveillance are passionately debated in various public arenas. From the historian’s point of view, however, it is evident that contemporary systems for surveillance rest on premises, technologies and ideas that stretch further back in time than the World Wide Web and the so-called “War against Terror”. The influential French philosopher Michel Foucault, for instance, pinpointed surveillance as the dominating technology of power of the modern (Western) state in his classic Surveiller et punir (1975). A more recent example is the British historian Toni Weller, who emphasizes “information gathering and intelligence” as integrated elements in the history of the state (2012). This is corroborated by the political scientist and historian Sébastien-Yves Laurent, who highlights the continuities between the so-called cabinets noir (“black chambers”) of the early modern era and the surveillance regimes of the digital age (2015). We argue, thus, that historical perspectives on surveillance are fundamental for our understanding of contemporary developments. Most crucially, historical analyzes can expose the hidden mechanisms of power that impels surveillance in our current day and age, in relation to governments and security services as well as private actors. Moreover, insights from history can be used to counter conceptual blurring between surveillance and other socio-cultural phenomena, such as social control. Historical research can also shed light on the complicated, yet historically rather new, dilemma that materializes in the relationship between state security and the civic right to privacy. Who are the central actors in the history of surveillance? What kinds of phenomena have been deemed eligible for surveillance, e.g. information flows, political movements, specific technologies, border-crossing trade and interacting with foreign states? Brief program outline: Keynote lectures and paper sessions will be held at the University of Copenhagen, South Campus, on Thursday and Friday, September 13–14. Conference dinner will be served at ENIGMA on Thursday evening. Registration fee: 500 DKK for 2 days, 400 DKK for 1 day. Covers: lunches, coffee breaks. Registration: Please use this registration form on no later than Friday 31 August 2018 12:00. For queries about the conference, please contact Andreas Marklund or Laura Skouvig.